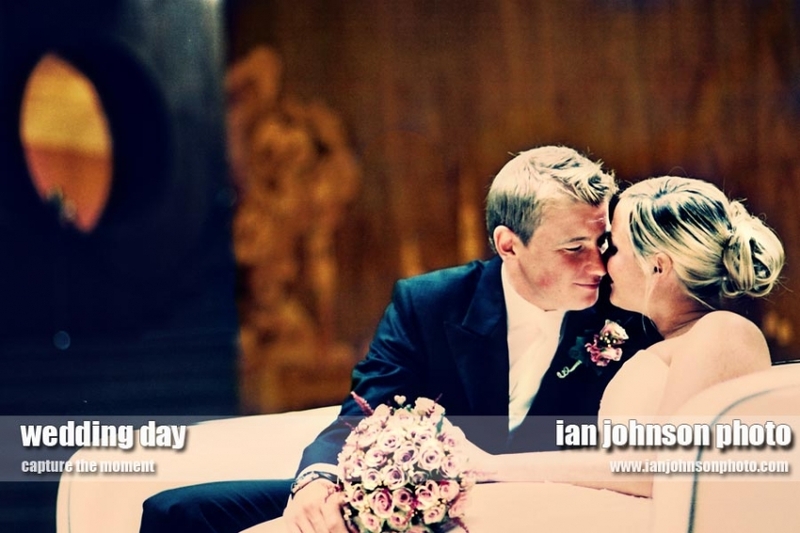 London Wedding Photographer Ian Johnson is a London born wedding photographer. Now has an international reputation after many top photography awards . Recently in 2011 Ian was awarded ‘ Top Knot ‘ a worldwide photo contest sponsered by Nikon and Photo District News (PDN) the wedding photo a photojournalistic photo of a wedding ceremony during a rainstorm. 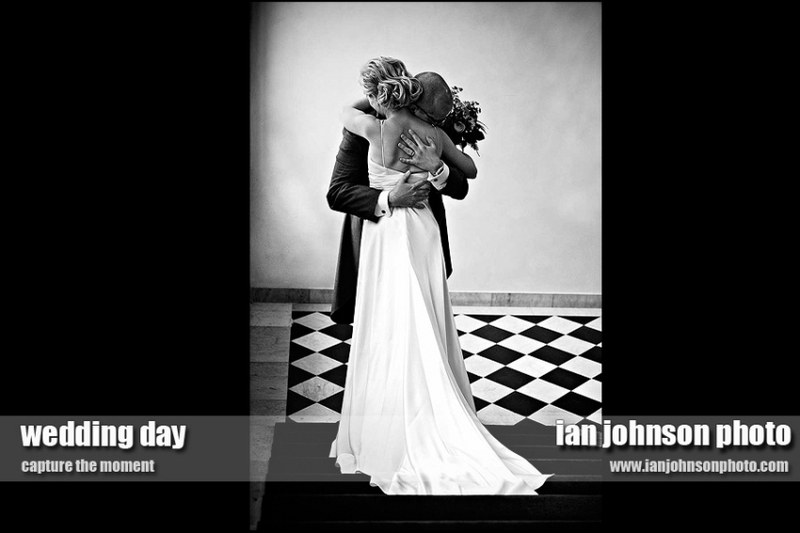 Ian is recommended by many London wedding planners and London Wedding Venues reading the references below one can understand why Ian is voted a top London wedding photographer. Ian Johnson was highly recommended to us by our wedding planners (Oscar & Clothilde) who had a very impressive portfolio of beautiful weddings. I knew if they suggested Ian he had to be one of the best. After our first meeting he completely understood the natural, candid style of photography we wanted for our wedding and I felt very comfortable with him because he is so personable and relaxed. The weeks and days leading up to our wedding Ian confirmed great ideas for how and where we could shoot the wedding photographs to ensure the final product was what we wanted. The day of the wedding I was running around frantically at times and Ian took control before even coming to me at our scheduled meeting time and shot so many gorgeous shots of the tent, flowers, decor and all the small details which were some of my favorite parts of our wedding. He managed to take the perfect candid shots of my husband and I in several different locations in a limited amount of time, along with our large families (which included 5 small children). I have never had so many compliments and requests for a photographer until Ian. So many of my friends said they wished they had hired the right photographer for their wedding and regretted not getting just a few images to treasure. I found it beyond difficult to make a 100 page album because every single shot (there were over 1000) was beautiful. Ian is even shooting one of my dear friend’s weddings in Greece this July after she experienced him at our wedding (he blends into the background to shoot candid shots of the guests like no wedding photographer I’ve seen before). I am completely confident that Ian Johnson is one of the best wedding photographers, not only for his excellent photography skills, but also for his extraordinary ability to connect with each individual couple to ensure they receive exactly what they have always hoped for on their special day. I came across Ian Johnson’s work whilst researching photographers for our wedding at the Icehotel in Sweden. We made contact with Ian and during initial correspondance and then continued discussions found Ian to be completely in tune with the style of photography, mood and intimate nature of the wedding and the venue. We booked Ian around four months before our wedding and in the run up to the wedding Ian stayed in touch with us and we continued to go through his work – highlighting shots that we liked from previous weddings that Ian had worked on. We realised very quickly that Ian had an excellent record in capturing the ‘special moments’ that are very often missed on the day. Ian arrived at the venue in Sweden on the day before the wedding and met with myself and my fiance and we were instantly put at ease with his down to earth approach. Once again we went over the type of shots and the intricacies of shooting in the challenging conditions that the Icehotel presented. The greatest difficulties were going to be with the temperatures of -32 degrees celsius and the shortage of natural light during the arctic winter. We were both glad that Ian researched the venue the day before the wedding as this led to a problem free shoot the following day. We were able to start looking at preview shots of the wedding the following day and could not believe how well Ian had captured the day. Once we came back to the UK from our honeymoon we were able to view the wedding shots and found that we faced the biggest challenge at this point – managing to pick the shots for our album from his excellent portfolio. In the end we chose over 300 photographs. I would not hesitate to recommend Ian to any other couple as we could not find fault in Ian’s work. In my experience Ian’s skills as a photographer are there for all to see but his work in the lead up to our day, his personable nature and his approach to dealing with our needs and the difficulties of shooting at our venue are what make him and his work special. ‘There are so many photographers out there, it’s hard to know where to start. I prefer to go off a recommendation and Ian was one of them. I logged on to Ian’s web-site and was immediately captivated. The images were real and they seemed to capture the moment perfectly. I looked at other recommendations but none came close and when we met Ian our minds were made up. Ian was laid back, talked through ideas and even patiently sat through my list of questions taken from an article in a wedding magazine – I wanted to make sure I had every angle covered! In the run up to the big day Ian visited our wedding venue to do light checks and find the best back drops. We got some great shots, our favourite a forest scene – the light and colours were just perfect. Ian delivered everything we asked for and more, he blended in like he was part of the furniture and we had lots of good feedback from our guests. We couldn’t wait to see the photos following the big day and we were not disappointed. Inevitably there are some parts of the day the bride and groom miss but Ian captured everything – friends and family waiting for the bride to walk down the aisle, the throwing of confetti, the speeches and the kids playing Statues on the lawn after dinner. We love the photos and so do our guests. We had such a great day and it really was a pleasure having Ian there. The classics are the best, thats official . This weekend was wedding free for me so I sat down with a few London wedding photographers that have been photographing weddings in London full time . Real photographers that go back and have photographed with film and not just digital cameras . We all agreed we can look at websites and see wedding photographers that have a film background and know light and not just Photoshop actions . We also agreed wedding photography that we photographed earlier some of the photos now look almost iconic . So looking through my library of photos I found these . Actually it really was my first destination wedding also . The magazine now called ‘ Weddings’ now , was then called ‘Wedding and Home ‘ Carol Herning the art director made this wedding the first non UK couple . Actually I think Carol Herning can take a lot of credit for Real Life weddings ‘ trend she was instrumental back then. 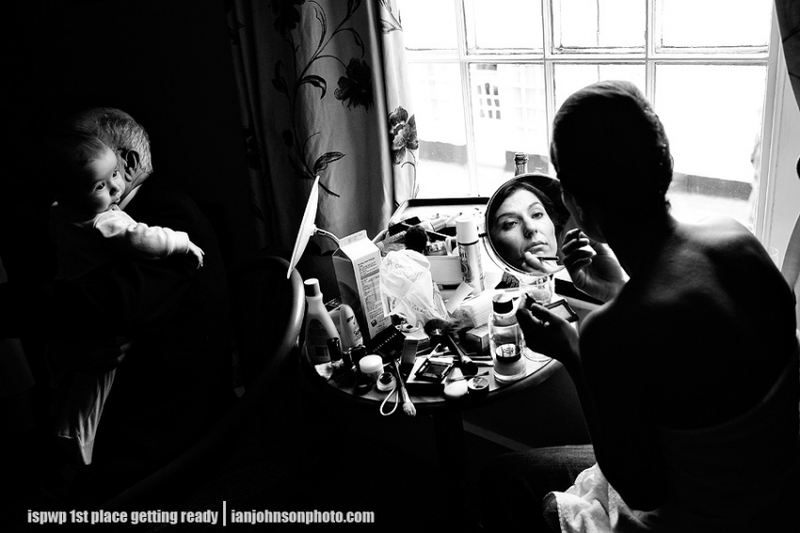 London Wedding Photographer availabilty I have many dates still available for weddings in 2012 Saturdays and Fridays . Dont hestitate to email me even as a last minute wedding photographer . Some of my best weddings ever have been last minute events . I have packages from £1490 that include files and also offer midweek discounts for local weddings. Thailand on location at the moment doing a destination wedding in Thailand , back in London next week. Even as a London Wedding photographer I not only photograph London weddings I cover all the UK and all Destination Wedding venues in Europe , Asia and the Americas. One Great George Street Wedding here is one more wedding photo montage from this weekends London wedding at OGGS . We found a location where the light was perfect for photos . There are not many quiet streets in London but we found one , a great doorway and a fun brickwall at the end of the street . Miriam looked so elegant in her dress , it was fitting that we were in One Great George Street , she really graced the reception area. The bridesmaids dress’s and the pink throwaway matched the bridal bouquets . I must add the packaging for the flowers looked great I must post another photo of them.